Death/doom-bringers Chalice of Suffering have been crafting rime-encrusted funeral doom in the Minneapolis tundra since their primitive 2016 debut, For You I Die. Three years later, the band have fully realized their vision of gloom on their new full-length, Lost Eternally. Frontman John McGovern growls almost exactly like Mindrot's Adrian Leroux, and his spoken-word style immediately recalls Novembers Doom's Paul Kuhr, with a dash of Type O Negative's Peter Steele at the breathy ends of his notes. That said, "Forever Winter" could be a slo-mo Mindrot track: the spooky keyboards, throbbing kick drums, wretched riffage and the huge tonal transition at the eight-minute mark that lurches into sluggish yet writhing hellfire. 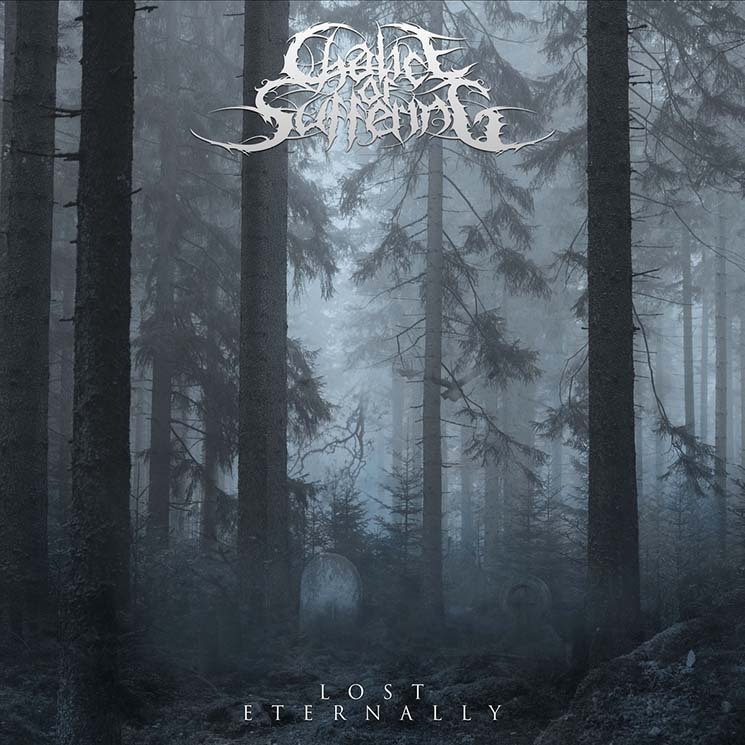 Chalice of Suffering are not a band to jump right into the action: they take their time getting into the groove on each track, with a long minute (or two) before the drums start. Most of the album's seven cuts are nine to ten minutes in length. One of the longest, the ten-minute-plus "Emancipation of Pain," is enhanced by Nikoley Velev's Tiamat-like keyboards and guest gurgles by Danny Woe of Danish blackened doom beasts Woebegone Obscured. Not to be outdone, "Miss Me, But Let Me Go" features guest throat Demonstealer from India's prog-death outfit Demonic Resurrection and YouTube's Headbanger's Kitchen keto cooking show.